My physician wasn’t thrilled when I told him I wanted to learn to snowboard at the tender age of 57. He sighed — and suggested I buy a motorcycle instead. That’s in the midlife crisis handbook. But I had made a bet to commemorate being five years cancer-free by doing something out of the box. I couldn’t succeed though without a practical and novice-friendly place to do it. Living near our nation’s capital, with its milder winters, and having minimal travel time and funds forced me into an affordable means to face my challenge within driving distance. Enter my favorite Pennsylvania playground of nature Laurel Highlands. The region’s big three co-owned niche ski resorts offer a New England-caliber experience without the schlep — or price. 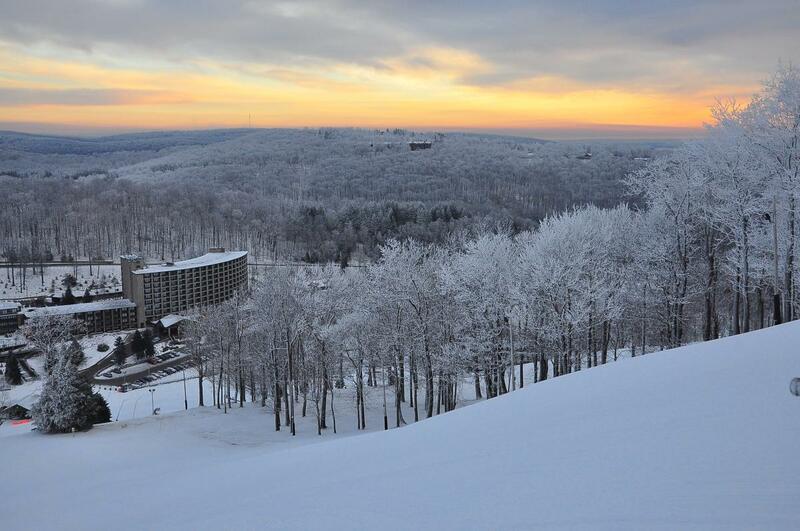 The massive Seven Springs resort anchors a premium winter triad that also includes family-first Hidden Valleyalong with laid-back historic Laurel Mountain in a revitalized state park. Also known for summer activities such as golfing, mountain biking, whitewater rafting, and fishing, these are the closest thing to an Alpine destination in the Appalachians. There’s snow, and plenty of it — an unusual amount for this geographic area, blanketing 33 slopes and trails, seven terrain parks or halfpipes, and the highest elevation of 3,000 feet with 285 acres of skiable terrain.